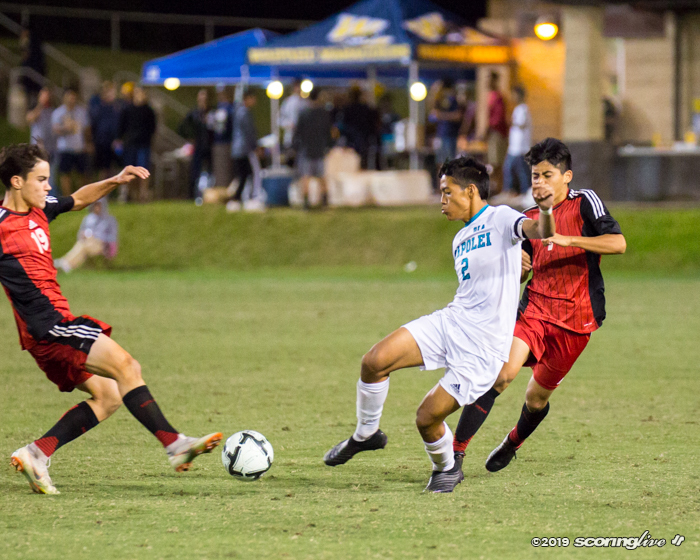 The state is under a storm warning this weekend, but not a hurricane one. 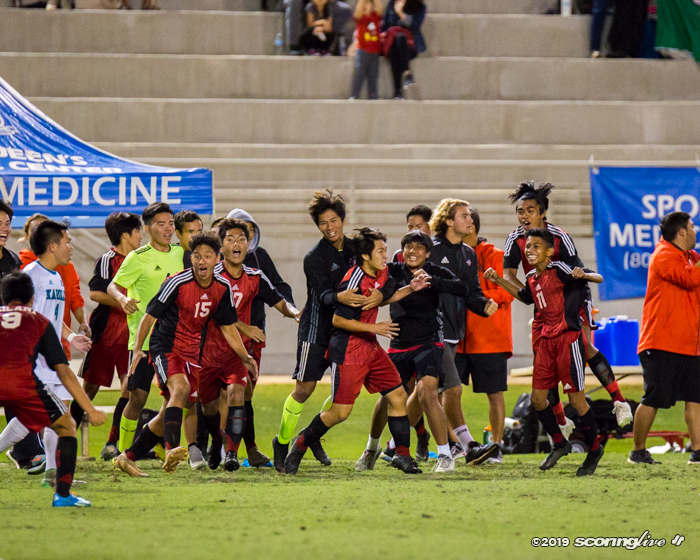 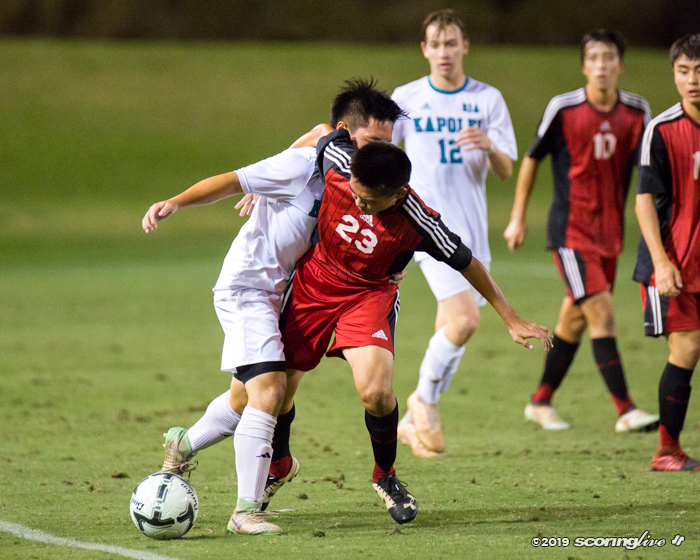 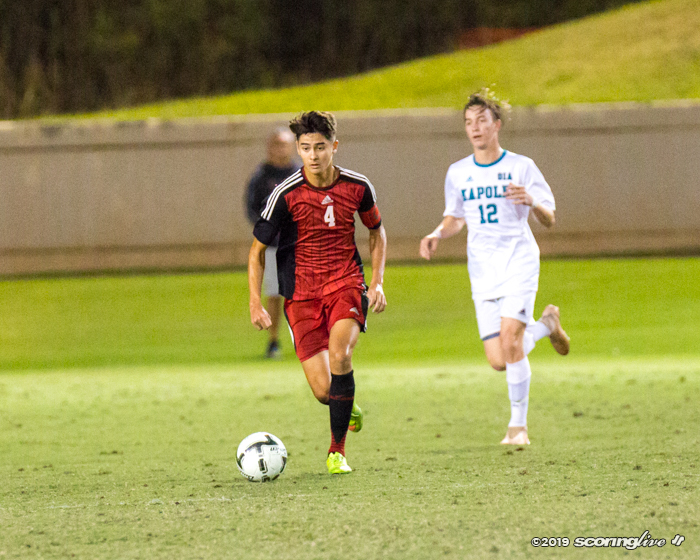 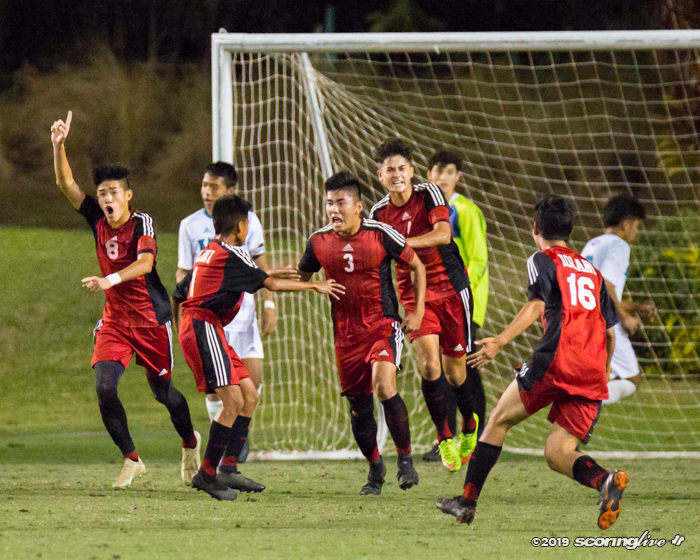 Iolani took advantage of a missed opportunity by Kapolei and scored three goals during a eight-minute span in the second half to rally for a 3-2 win Friday night at Waipio Peninsula Soccer Stadium in the semifinals of the Queen's Medical Center Division I Boys Soccer Championships. 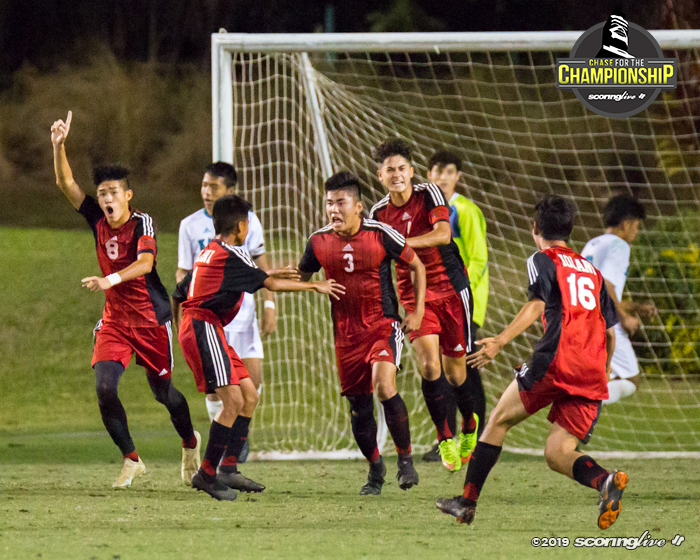 The Raiders advance to face Punahou Saturday night in a 7:00 p.m. final where they will try for their 10th state title. 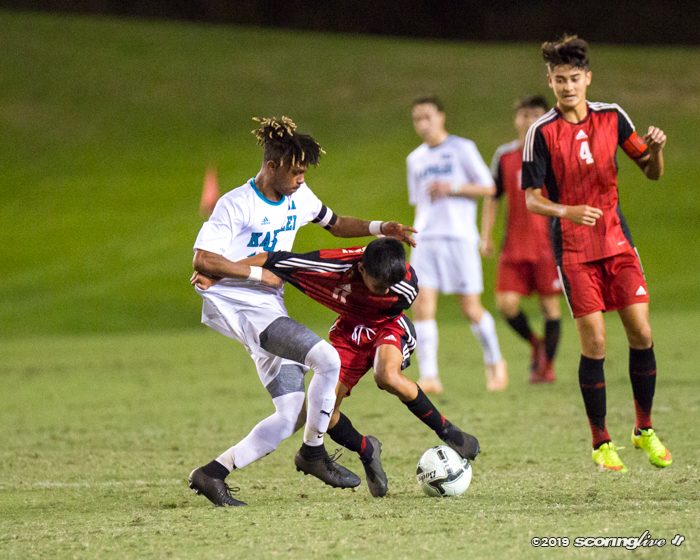 It will be the fourth meeting between the two teams this season, with the Buffanblu winning twice and the two teams playing to a draw once. 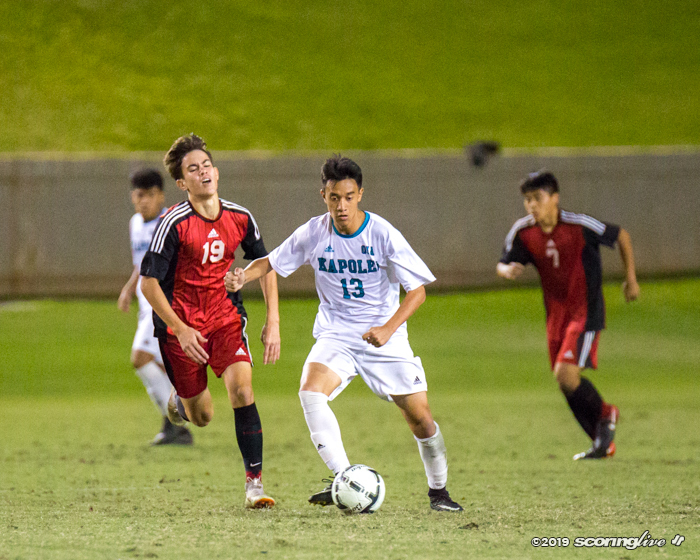 Kapolei led 1-0 at the half thanks to a Cypress Navarro-Acio goal that was assisted by Tommy Mascaro-Keahi in the 18th minute. 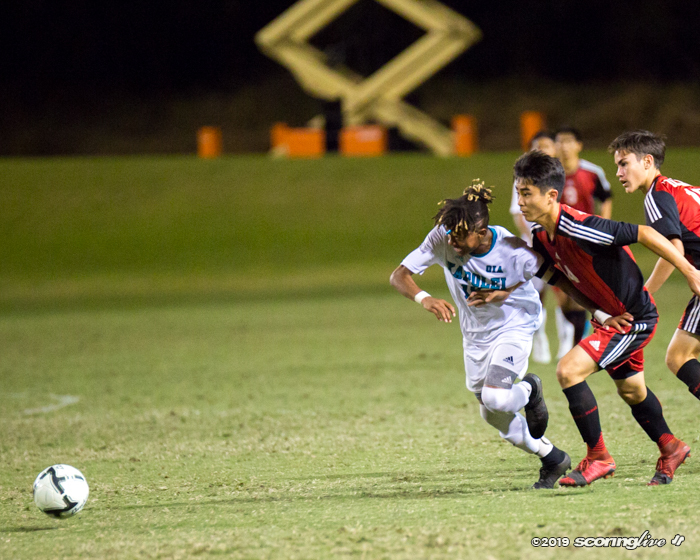 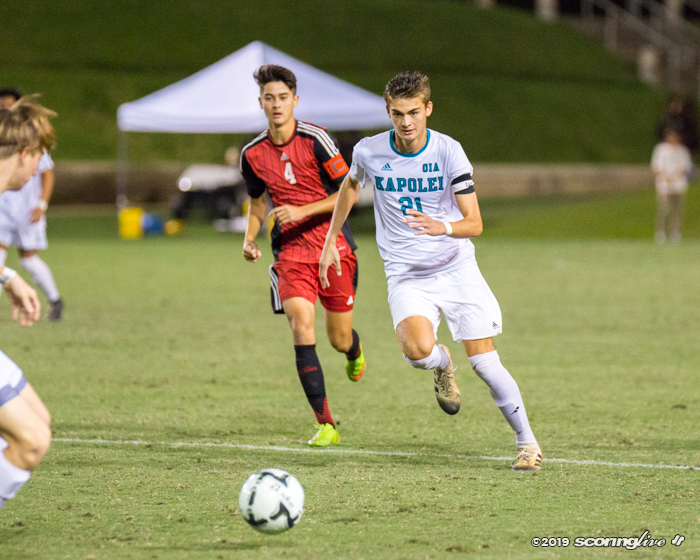 Mascaro-Keahi, who leads the team in goals scored with 15, had a golden opportunity to add to the Hurricanes lead after the first 10 minutes of the second half when he beat the Iolani keeper near the start of the penalty box, but the junior forward's shot connected with the left post to leave the score at 1-0. 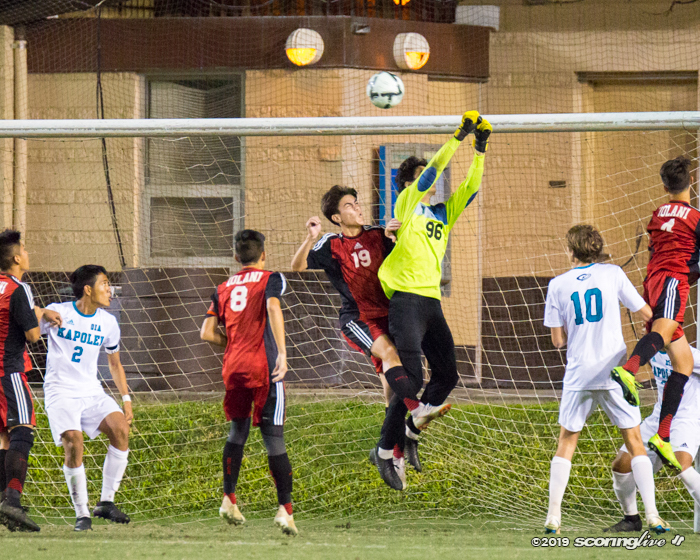 The missed shot seemed to give the Raiders new life however as Iolani began to maintain possession on the Kapolei side of the field. 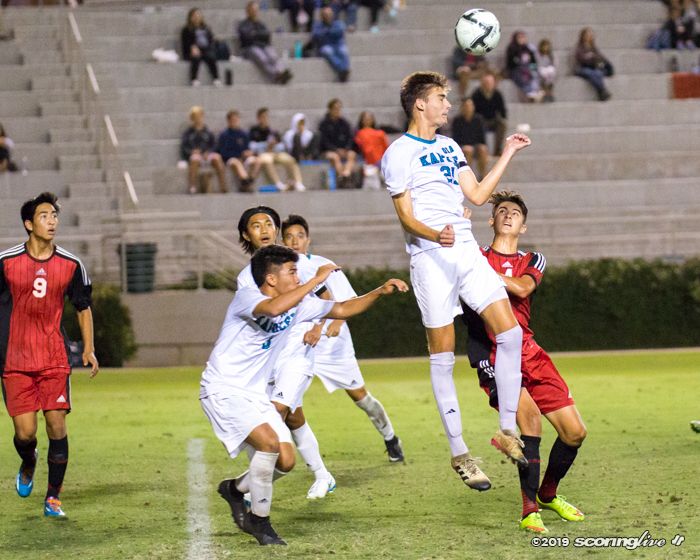 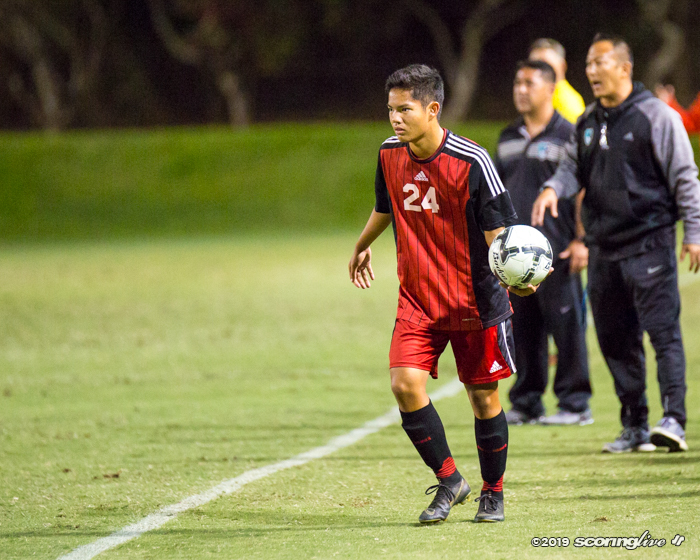 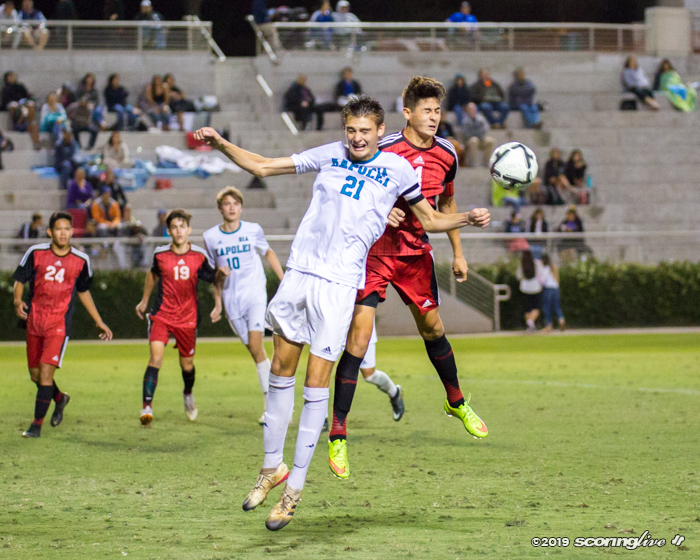 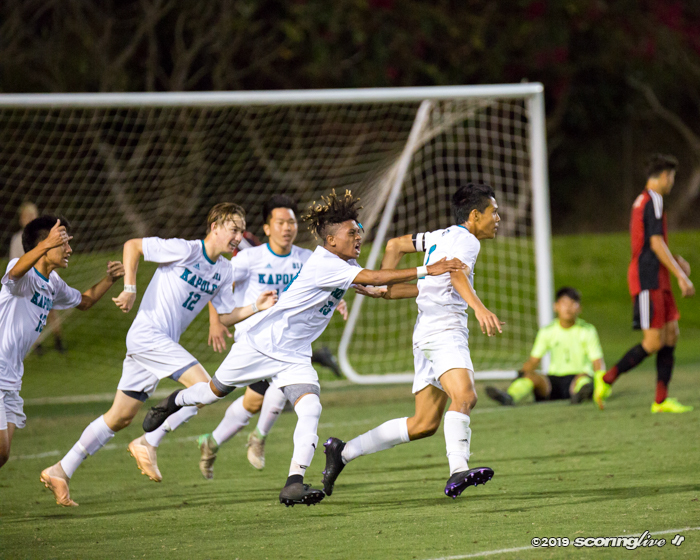 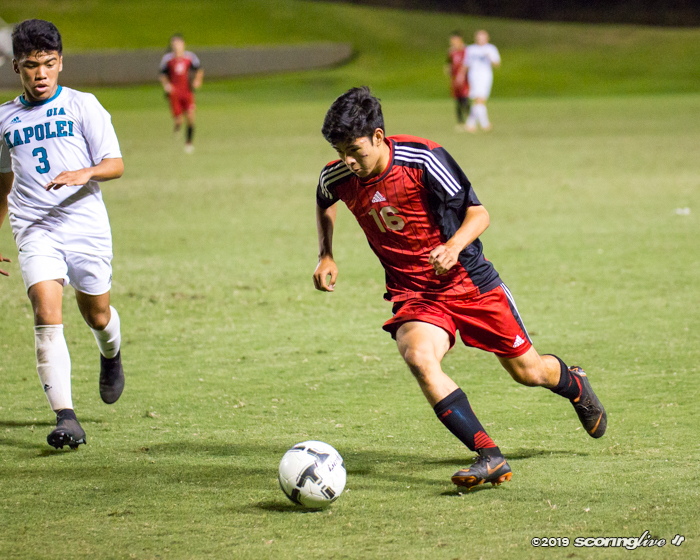 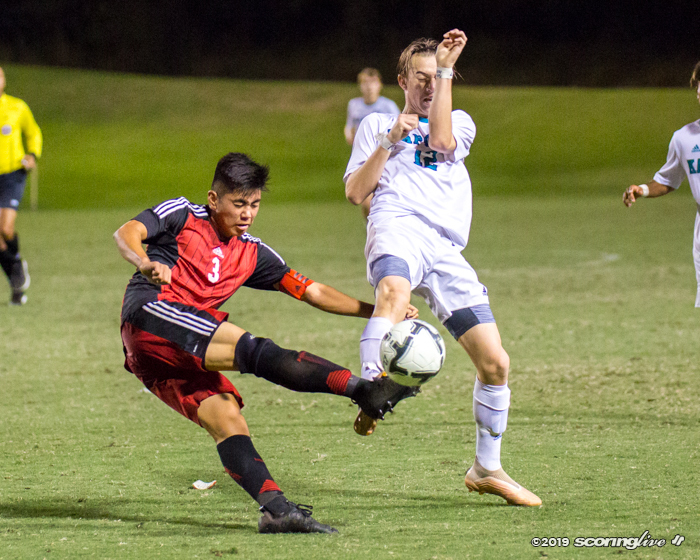 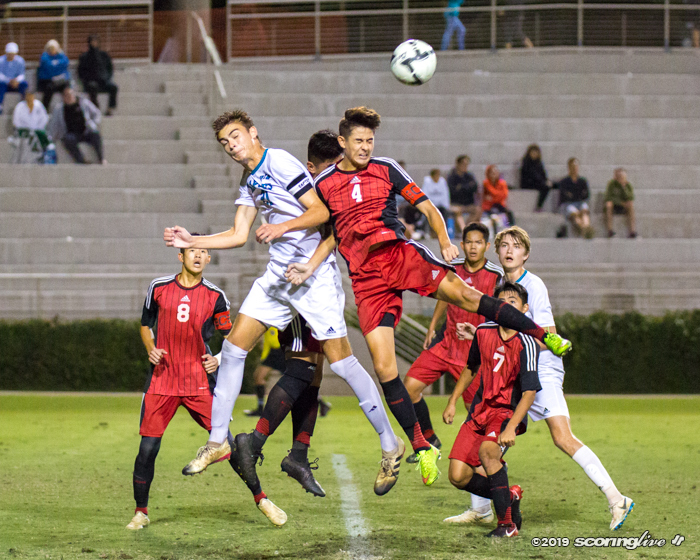 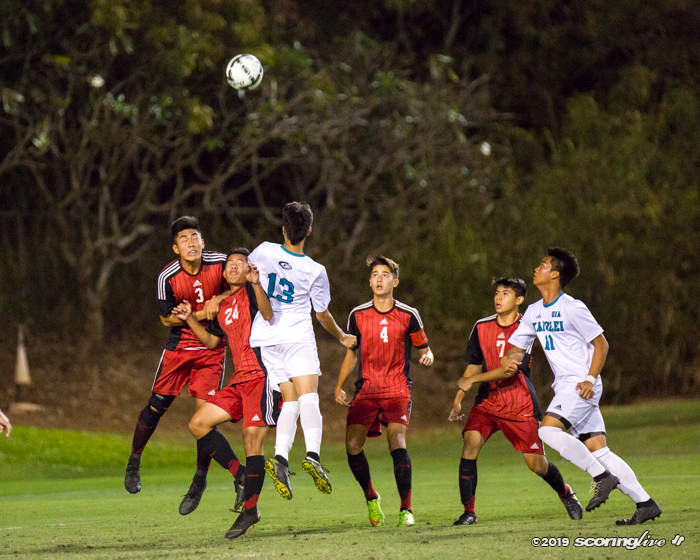 The Raiders finally broke through in the 59th minute when senior fullback Lincoln Oishi headed in a ball off of a Micah Kim-Bustillos free kick. 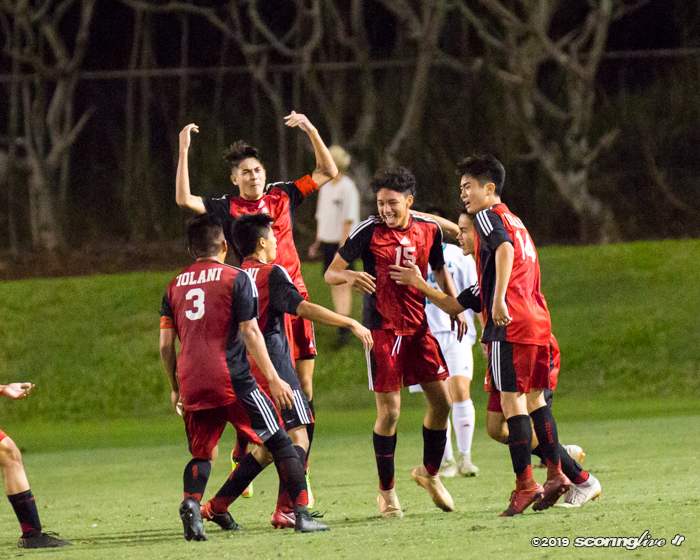 In less than two minutes later, Oishi scored again on a diving bicycle kick attempt to put Iolani up 2-1. 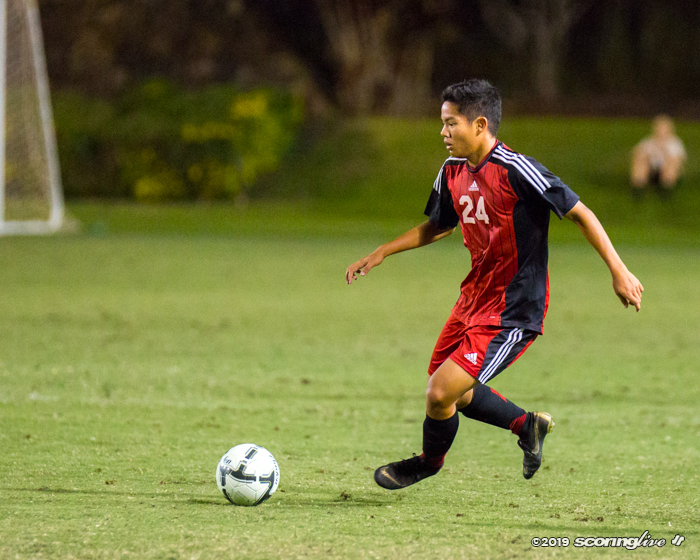 Wailoa Manuel added to the Raiders' point total in the 67th minute with a nice run down the right side of the field. 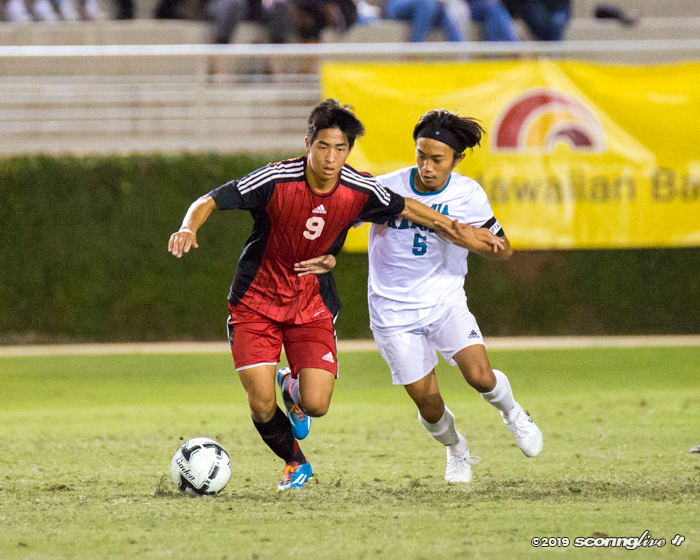 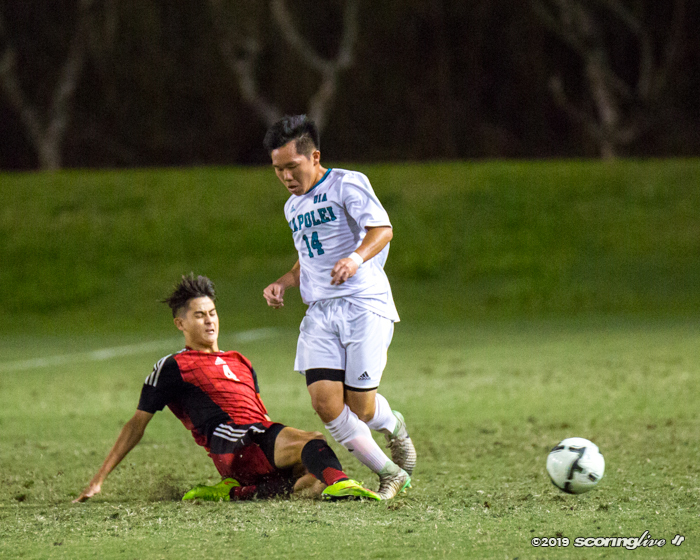 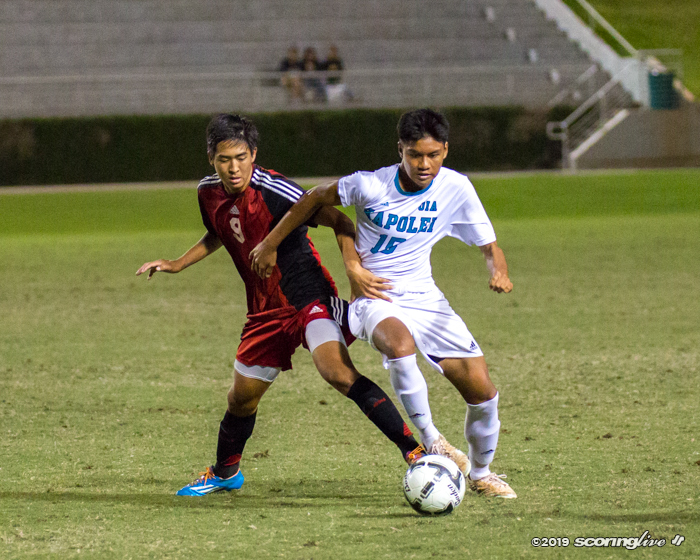 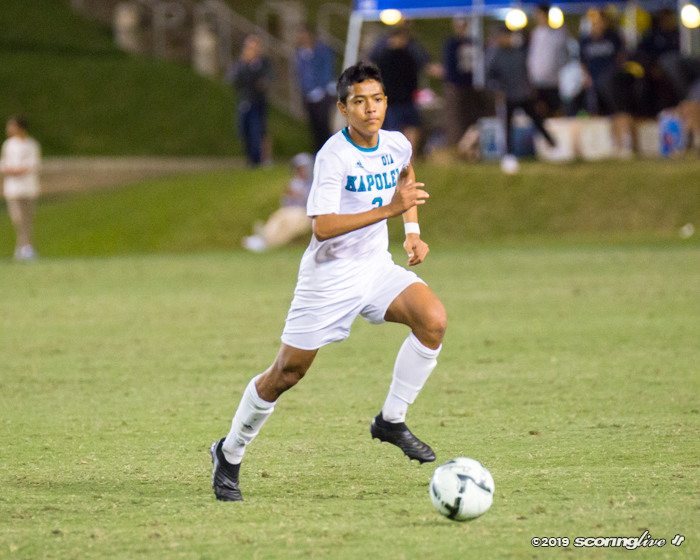 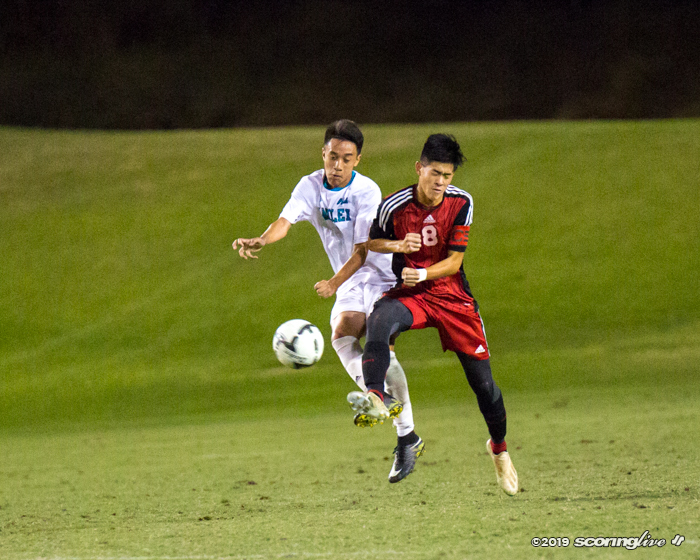 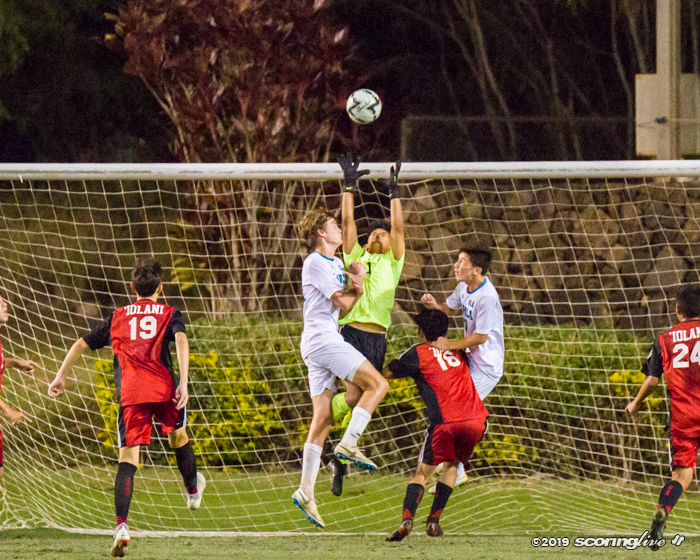 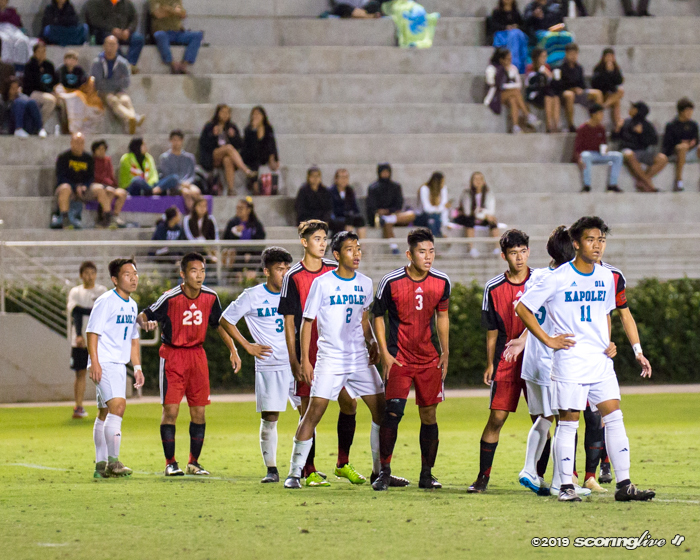 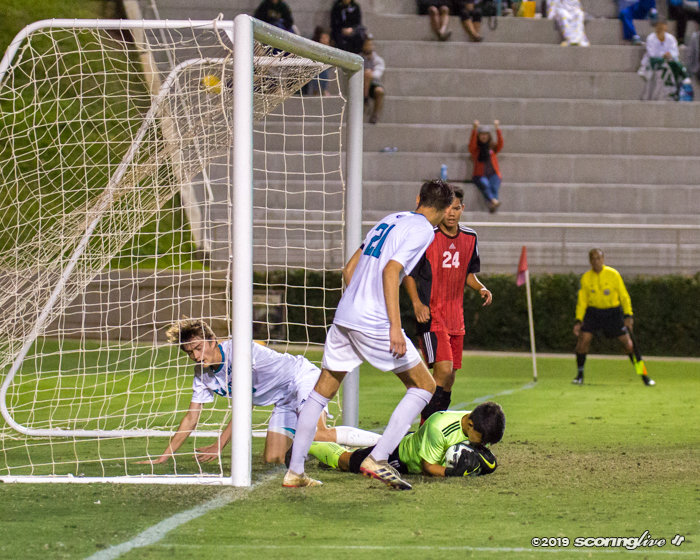 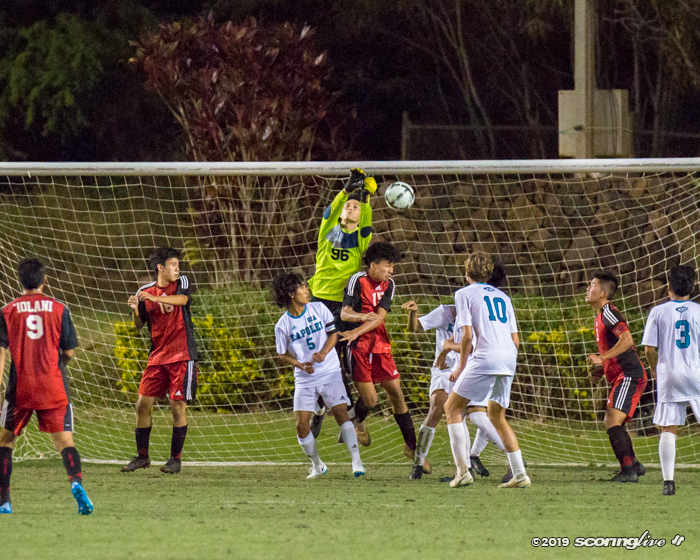 Kapolei's Joe Wren added a goal in stoppage time for the final point total.